Shane Smith most known for his successes with Vice, is also known to have an eye for design. 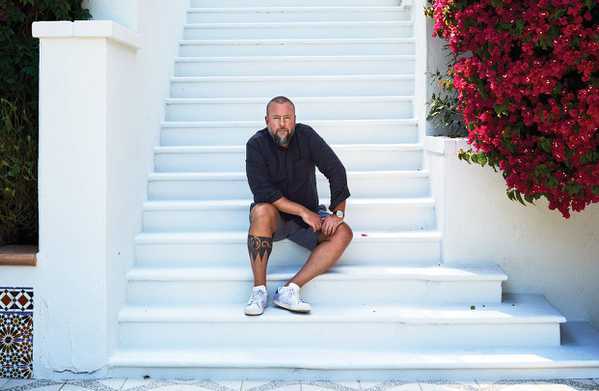 Shane Smith, CEO of Vice, sitting on the steps of his newly purchased Santa Monica Villa. He recently purchased a beautiful Santa Monica villa which features intricate Spanish designs, mosaic tiles, hand-painted ceilings, and antique rugs. Bought in the summer of 2015 for a cool $23 million USD, he opened his doors to WSJ for an inside-look at his lifestyle at home. The family room, with custom-design bookcases by decorator Kerry Joyce. 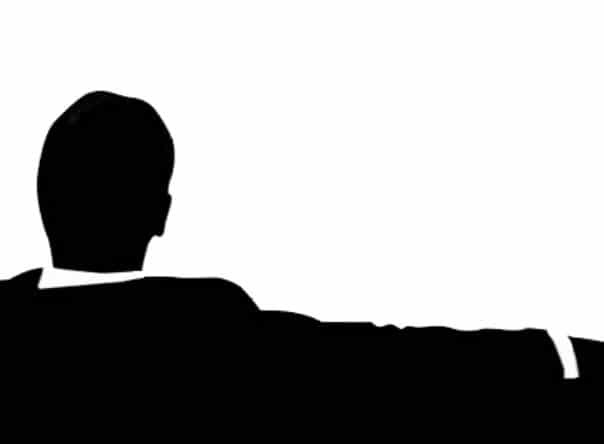 In the interview, Smith describes how Tom Freston, co-founder of MTV, influenced the direction Smith took in designing his new home. The former Viacom CEO acts as a mentor to Smith, and the two share similar passions, most notably their passion for antique oriental rugs. 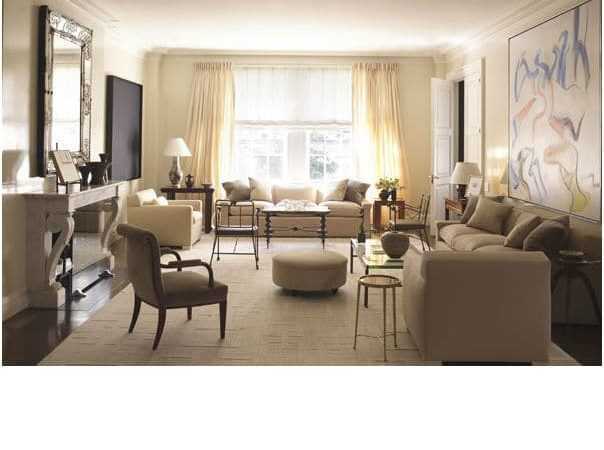 One look at Freston’s luxurious rugs in his Manhattan townhouse had Smith asking who the decorator was. Smith and Tamyka and their two daughters, enjoying their mediterranean influenced backyard. 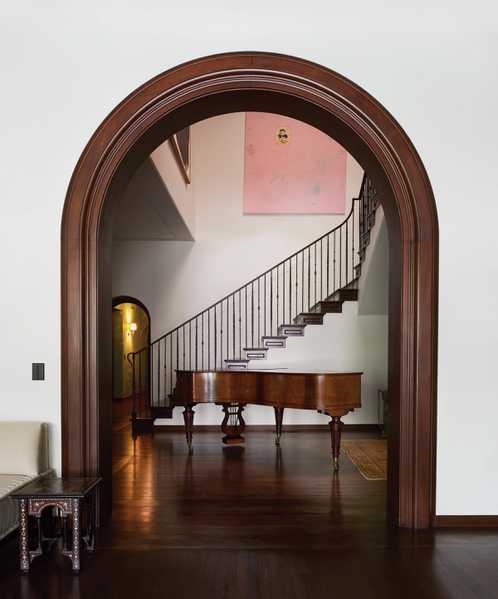 From there, Smith’s wife, Tamyka, worked with Freston's decorator, Kerry Joyce, to make the large estate a home. Influenced by the mediterranean details they worked meticulously, finding and incorporating antique Persian rugs and various vintage French and Italian furnishings. To locate the perfect one of a kind rug, they turned to Nazmiyal. Having previously purchased from Nazmiyal, Smith once more sought out the premier antique rug gallery in Manhattan, whose collections include rare Persian rugs. The rugs purchased by Smith decorate and define his rooms, such as the 17th century Persian Carpet resting in Smith’s library. 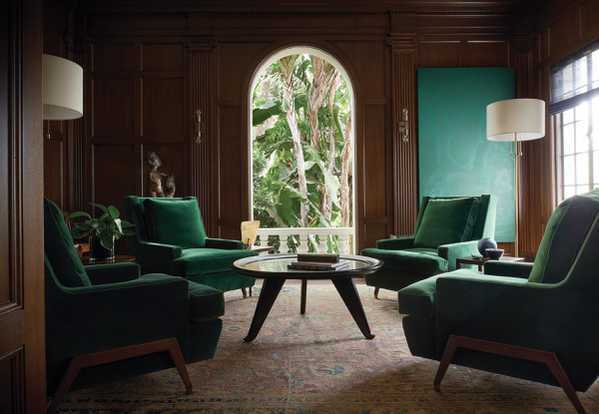 The library of the Santa Monica Villa features a 17th Century Persian Isfahan Carpet with a red field and broad green border that complement the dark green velvet of the surrounding furniture. The impressive antique library carpet was woven in Isfahan, a renowned center for the production of beautiful rugs and carpets since the 17th century. It was acquired by antique rug collector Nazmiyal for his extensive collection and Smith purchased the vibrant rug to display in his new home. With an extensive and opulent collection, it is clear to see why Nazmiyal is the first stop for many rug enthusiasts. As Newsweek puts it “The Persian Rug Trade Is Back In Business”, and it’s never been more obvious than at Nazmiyal, whose rugs were selected for Shane Smith’s new luxury home. A view of the estate, main house center, guest house to the right. The house’s main staircase designed with imported Moroccan ceramic tiles. 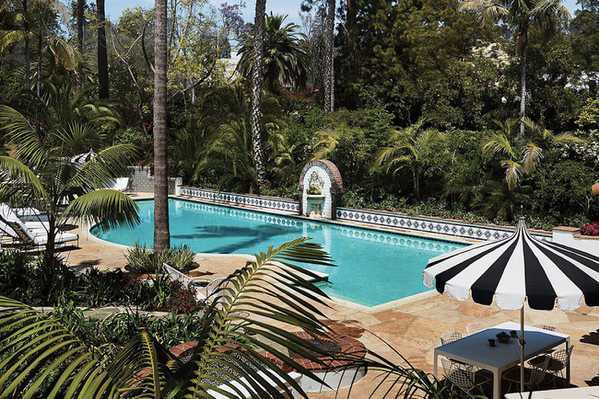 The 72-foot large pool deck surrounded by lush palm trees. 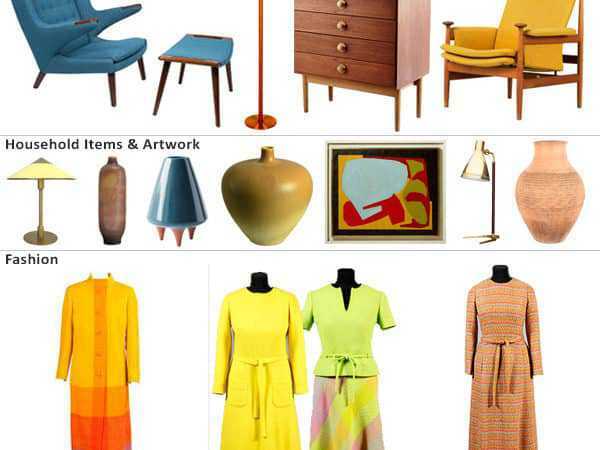 This interior design blog post about Vice CEO Shane Smith's New Antique Rugs In Santa Monica Villa was published by Nazmiyal Antique Carpets in NYC.